The FTD® Tears of Delight™ Bouquet is an incredible expression of love's sweetest gifts. 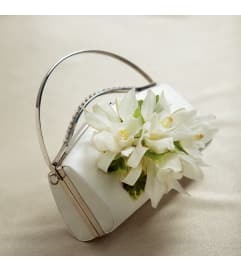 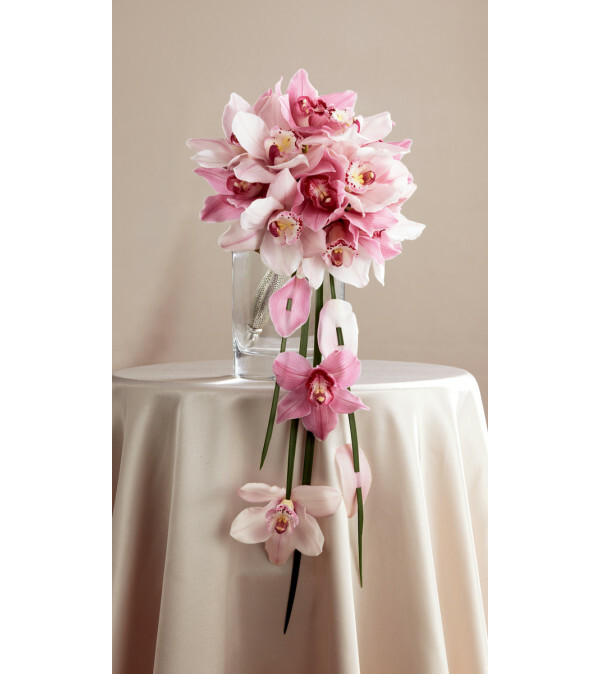 Lavender and pink cymbidium orchids are gorgeously arranged to form an impressive display accented with lily grass blades and galax leaves holding additional orchid blooms beautifully suspended to dangle from the bouquet. 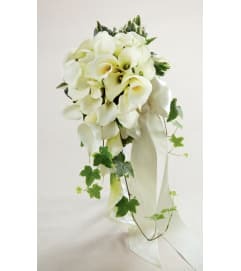 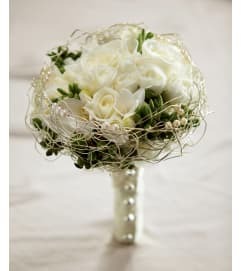 Presented in a silver metallic bouquet holder, this arrangement will hold their attention as you take your steps down the aisle.